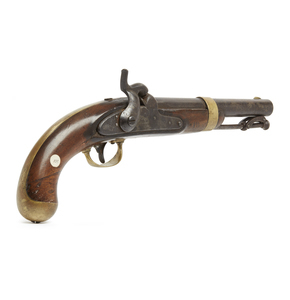 U.S. model 1842 pistol by Johnson, dated 1854. An I.N. 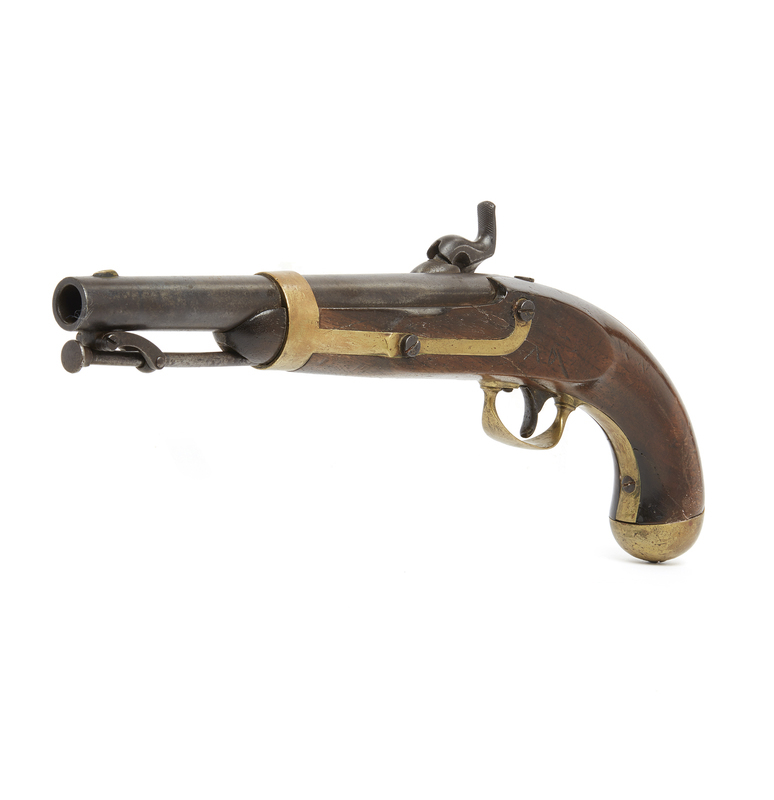 Johnson made U.S. model 1842 single shot pistol. Brass mounts. Dimensions: 15"l overall. Processing and shipping within the continental U.S. $32.00 plus 1.5% replacement cost insurance. Good. Minor pitting on lock plate, steel is dark, stock is cracked and repaired. Initials "AD" are crudely carved into wood behind rear lock plate screw. Witherell's strives to provide as much information and photographs as possible but encourages in-person inspection by bidders. Condition statements are only for general guidance and should not be relied upon as complete statements of fact and do not constitute a representation, warranty or assumption of liability by Witherell's. All lots are sold "AS IS" under terms and conditions.